If someone told us that it was possible to one day look at Stanley Kubrick’s film The Shining and say it’s adorable film, we probably would’ve gotten some interesting looks. But as fate would have it, Funko has made the impossible…….possible. Coming this summer, collectors can add the whole Torrance family, fresh from their winter vacation at the Overlook! 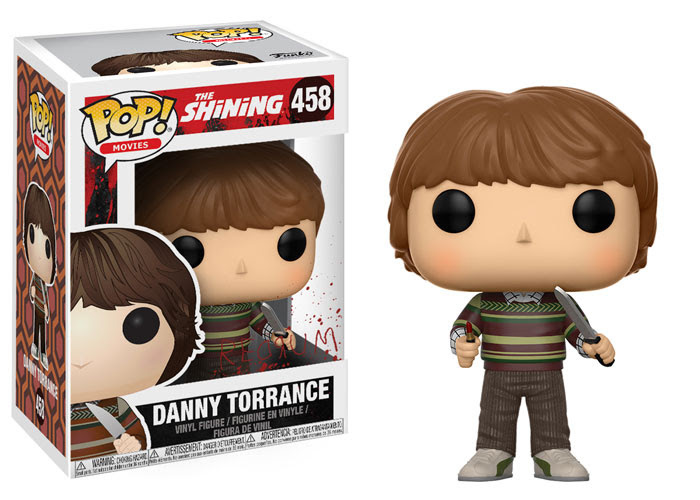 From Stanley Kubrick’s classic psychological thriller, The Shining comes the Torrence family! They live in the creepy, mountain-isolated Overlook Hotel, but we won’t hold that against them, as they are now receiving the Pop! vinyl treatment! Here comes Jack – featured with his signature axe. 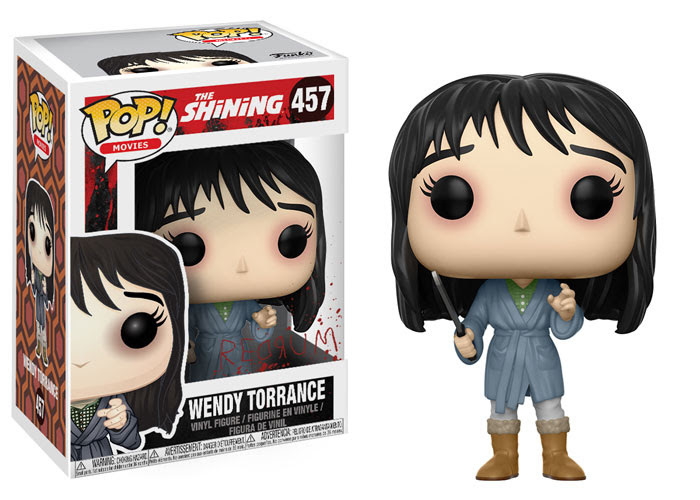 Wendy and Danny Torrance are shown with knives of their own. Funko Hunters listen up: be on the lookout for The Grady Twins, available only at Target! Please check back for for a link when it becomes available. See you then! Find the TARGET CHASE of The Grady Twins, featured in blood! A rarity of 1-in-6! 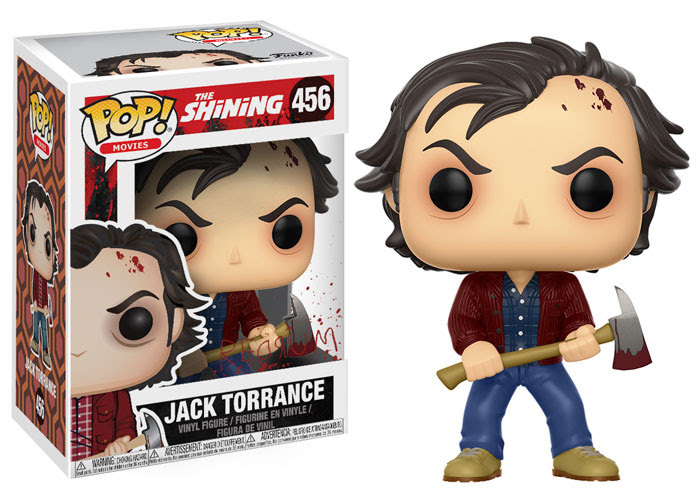 Also look for the chilling CHASE of Jack! From the famous end scene of Stanley Kubrick’s The Shining, frozen Jack! A of 1-6-rarity! 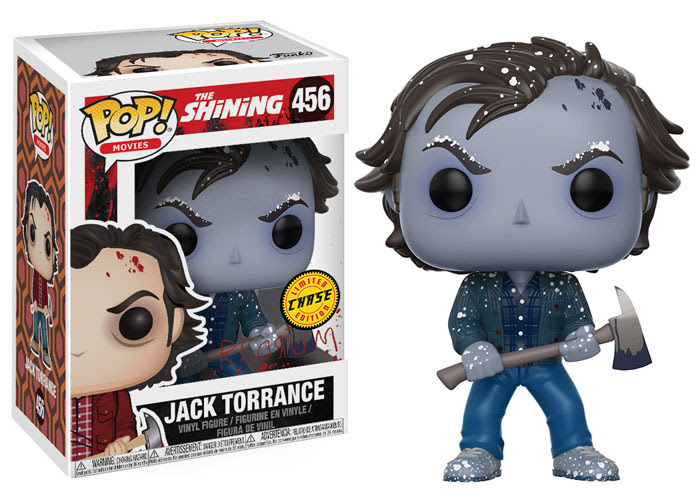 NOTE: You can click on the Frozen Jack CHASE figure below where you’ll be taken to Entertainment Earth to pre-order the figure (with a CHANCE of getting the CHASE version).